A reading group, involving all REL grad students and faculty, is organized by the Department’s Grad Director each month; while required for students (with sessions led only by second-year MA students), it is voluntary for faculty. Each session features a current journal article, selected by a second year grad student (in consultation with their supervisor), that exemplifies their developing thesis interest. 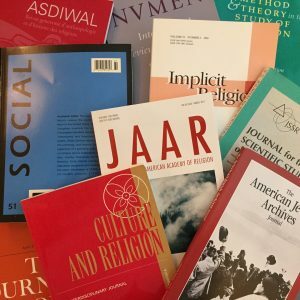 The student who selected the article opens each month’s discussion with a brief description of the article’s thesis and their rationale for the selection. While prepared to elaborate on this during the discussion, the reading group is not meant to be a seminar or exam; instead, it is an informal opportunity to share interests/resources while ensuring that students begin a thesis literature survey early on in their studies. Articles will be distributed two weeks prior to each session.